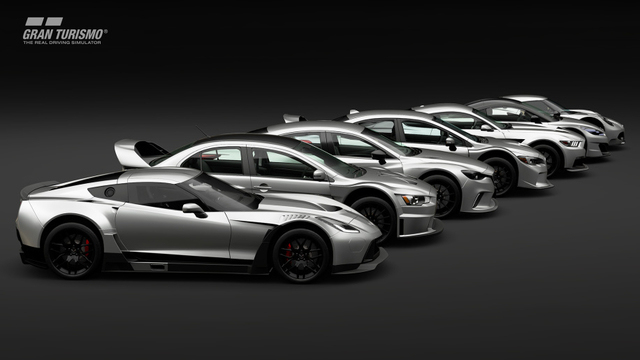 The legendary Gran Turismo saga is 20 years old and celebrates with the launch of Gran Turismo Sport. This new driving game guides its design towards the online competitions and tries to become a source of the e-Sports in PlayStation 4. Gran Turismo Sport is the start of a new era for the famous racing series. 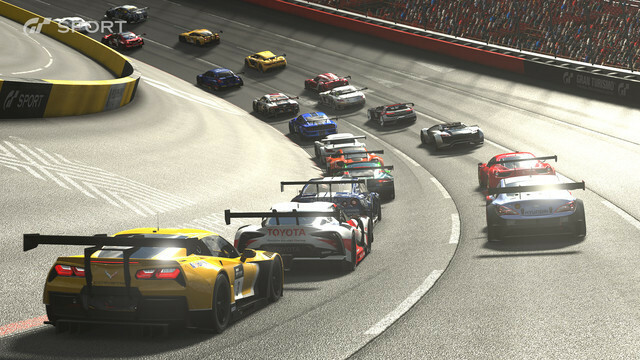 Gran Turismo multiplayer attract us with exciting competitions; the truth is that the title comes with very little content, neglecting the options for a player and weighed down by gameplay that has evolved little since the last installments. Following the launches of Project Cars 2 and Forza Motorsport 7, it is time to know everything about GT sport. 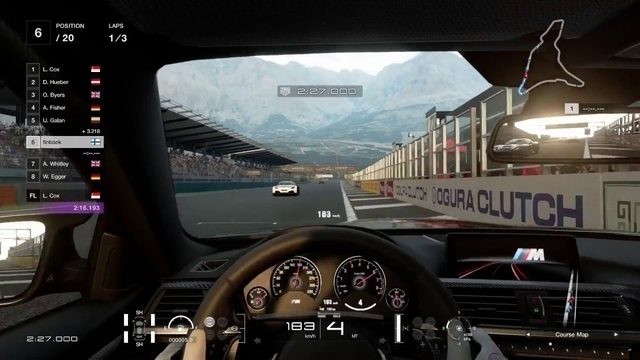 The Gran Turismo franchise has always been a benchmark for automotive simulation on PlayStation; its gameplay conveys the realism of driving and excellent control with the steering wheel. In this new title, the solid bases of the franchise are still present, so we enjoy a polished driving that knows how to recreate the sensations of each car on the asphalt, and can also adjust a multitude of configuration parameters. 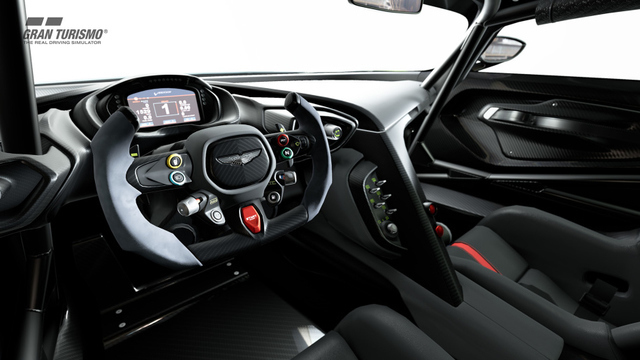 All this is followed by excellent control and a brilliant handling with a steering wheel, getting all types of players to enjoy the experience thoroughly. However, there are some problems with the transmission when deactivating aids such as ABS, Traction Control or Stability Management, at which point driving should become a real challenge. It causes title destined to be a “simulator” in consoles does not finish to fulfill its actual function. On the other hand, this will not affect those who seek a pure experience, because if we choose to play with aids, the video game will offer a playful and solvent fun. Learning mode can give us purpose of something based on a series of challenges. It has divided into three categories: Driving School, Challenge of Mission and Circuit Experience. In the school we find a total of 50 tests that, like the classic carnets, will force us to fulfill a series of challenges with Gold / Silver / Bronze classifications, obtaining prizes in the form of cars. The Mission Challenges are a total of 64 tests with the presence of rivals on the track and in which we will have to surpass a determined speed, to demolish cones or to dispute races. Finally, the Experiences in Circuit will lead us to complete different stretches of the available paths to perfect our piloting. Without a doubt, the campaign mode is exciting as online learning, and although some tests are fun and offer us good rewards, its repeatability and short duration make it way below expectations and inexplicably we cannot play without internet connection. Before detailing the game modes offline and online, it should be noted that it has done an excellent job design in the evolution of our pilot. Polyphony Digital has not wanted to enter into the current box-office trends and has created a micropayment-free system that works great. Each time we compete we get four types of rewards: CR, credits according to our performance; M, mileage points that we can exchange for new designs, helmets or vinyl; Distance, kilometers accumulated to obtain prizes; and Exp, experience to level up and unlock circuits. The progression is gradual and very comforting, obtaining constant prizes in the form of cars and a sufficient amount of credits to acquire all type of vehicles and complements. Undoubtedly, it is clear that when a video game is designed without thinking of micropayments and with the only idea of ​​creating a good gaming experience, the title appreciates and the final experience is much more robust and fair. 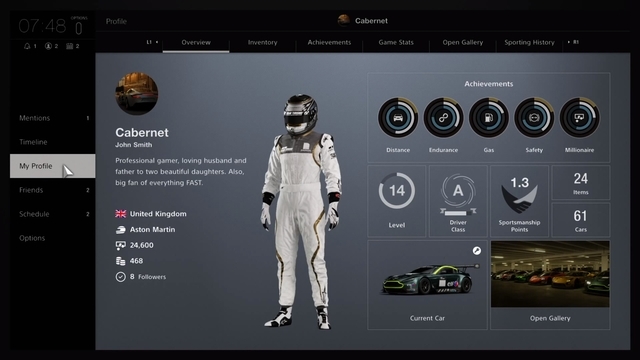 The competitive approach of Gran Turismo Sport makes online mode more engaging. The title offers a series of races for up to 24 players in sessions that will be updated every 20 minutes, being able to find here a great variety of circuits and disciplines. Also, the option of disputing Championships is incorporated, being able to run several races and giving us huge prizes. Finally, there is also the possibility of creating or joining custom items, and here you can define a multitude of parameters. GT Sport incorporates a competition license that will value our performance and performance on the track. The first thing that will take into account will be the CP (Pilot Classification), which will analyze in real time our piloting to accommodate us in a division according to our level. In this way, we will move from the category as we get good results. The second segment that will value our license will be the CD (Classification of Sports), a meter to analyze our level of professionalism. If we hit the opponents, make dangerous moves or get off the track we will be penalized and lower our range of sportsmanship. The CD and CP will also limit our participation in some tests, which guarantees a more professional approach. Beyond the control, Gran Turismo Sport also presents a rival AI quite limited, as it is not very competitive, it does not make mistakes, and its race rhythms are decreasing in the last laps so that we feel that our performance improves, something habitual in the titles but here is especially evident and annoying. 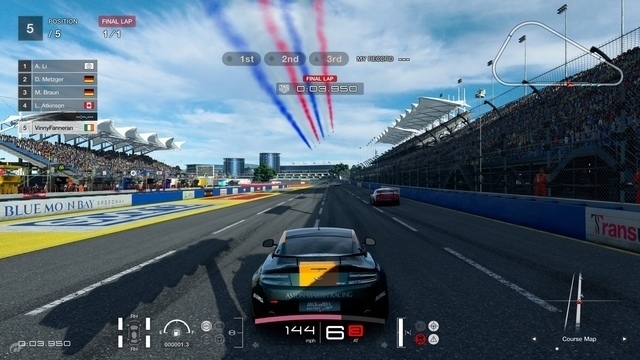 These limitations do not prevent us from enjoying exciting races, however, having such a guided and little human behavior, the offline mode of the title is bit dull. The behavior of several climatic conditions that, either in real time or pre-set, offer us a completely different experience of the same circuit. However, in GT Sport there is no option to change the weather, so we can only run with clear skies at different times of the day. In this way, the absence of rain and other climatic conditions is unforgivable in a video game of these characteristics, something that has aggravated by a few available circuits. 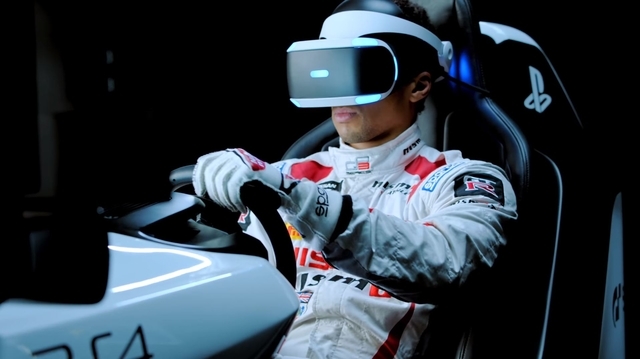 PlayStation VR also has its space in Gran Turismo Sport and offers a couple of new modalities: the first one is VR Driving, a place in which to compete only against another rival (controlled by the AI) in any of the circuits of the Arcade mode that we have unlocked. 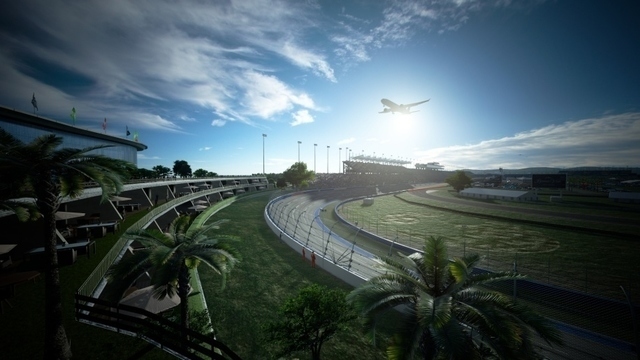 Here we will find a much more immersive experience, and although graphically there will be a noticeable loss of quality and the races will not be very exciting, we will enjoy a stable experience, and we will discover the benefits of virtual reality minimally in driving simulators. The other option is VR Gallery, a space in which to contemplate the cars that we have in the garage in a three-dimensional environment, although we can just turn around. One of the main drawbacks of this new delivery is the low amount of content. 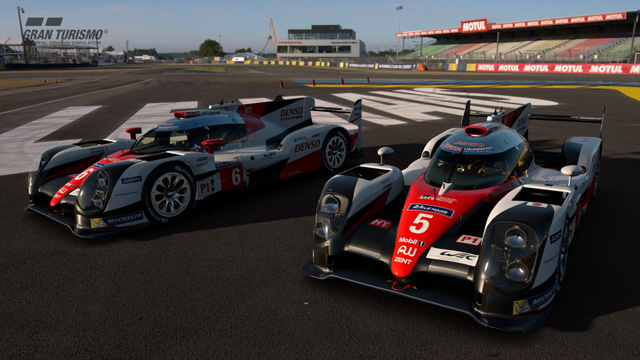 Regarding cars, we will have at our disposal a total of 162 vehicles, a figure that is far from the more than 1,100 of Gran Turismo 6 and the 700 of Forza Motorsport 7. In spite of this, the truth is that a very detailed work has been done in the modeling of all of them, being able to enjoy also an excellent interior finish. Polyphony Digital has done a great job with Gran Turismo Sport and presents excellent modeling in cars and paths, a great lighting system and textures at high resolution. Also, the video game moves at steady 60 frames per second. In PS4 the resolution is maintained at 1080p, while in the Pro version up to 4K offering excellent visual quality. Before starting to play there is a choice between prioritizing visual quality or performance. Besides, we can activate the HDR, finding here an outstanding section, since GT Sport incorporates an advanced system of colors of high dynamic range, obtaining with it much more real colors and more detailed illumination effects. Gran Turismo Sport is a title intended for those who look for a competitive online experience and want to enjoy a good gameplay with both control and steering wheel, although at the highest levels of realism the title fails to reach the expected levels of simulation. To this, we must join a worrying absence of cars and circuits (not forgetting the lack of meteorological changes), besides having a little-varied modes, very few and with severe access restrictions if we are offline. 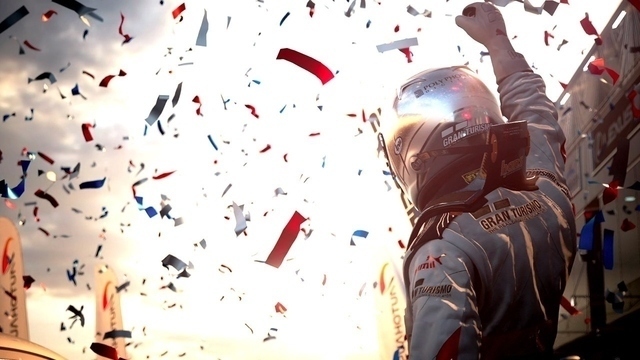 Therefore, despite the visual and artistic care of the video game, and a very well-designed progression system, Gran Turismo Sports a driving title that stays below expectations as a simulator on consoles and will depend entirely on the support that receives its online shed to remain interesting. From the beginning it was announced this GT that was going to be only competitively, mostly online, for something the word Sport. Try to find out more. There are games like Overwatch that if you do not have online you do nothing and win as one of the best games of the year, if you are not going to dedicate to playing exclusively online, you should look for another game.